What's today? Denver Broncos kicking the New England Patriots BUTTS! Oh, It's going to be a good Saturday. 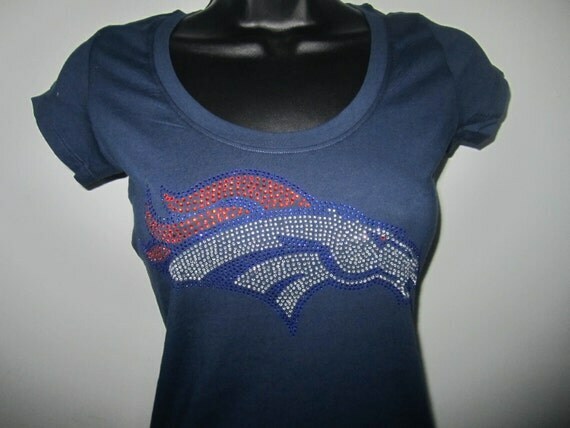 And I get to wear my new blinged out Broncos tee that came yesterday on Orange Friday. Just in time to wear it today. She has tons of other teams. And really cute Tracksuits, So check her out!